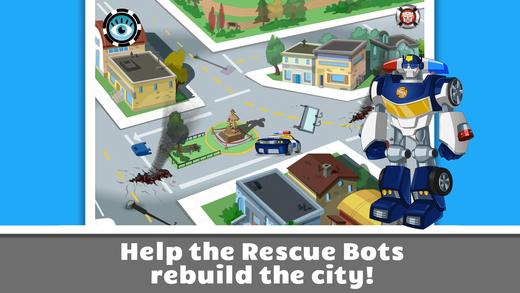 This original TRANSFORMERS RESCUE BOTS story wrapped around 14 thoughtful and engrossing learning activities will have early learners at the center of the action! 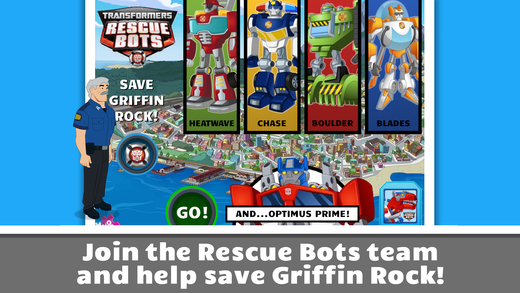 As Griffin Rock Rescue’s newest recruit, your early learner is going to have fun practicing key ‘ready-to-learn’ skills—matching, sorting, counting, spatial thinking, and identifying shapes, numbers, patterns, and sequences—to help the TRANSFORMERS RESCUE BOTS save Griffin Rock! 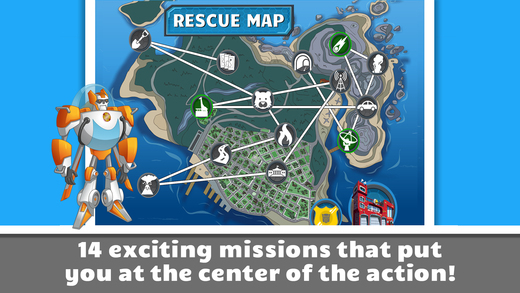 PlayDate Digital Inc. is an emergent publisher of high-quality, interactive, mobile educational software for children. 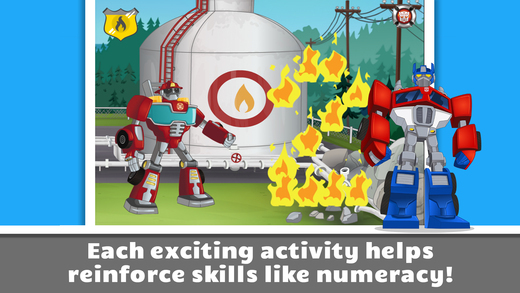 PlayDate Digital’s products nurture children’s emerging literacy and creativity skills by turning digital screens into engaging experiences. 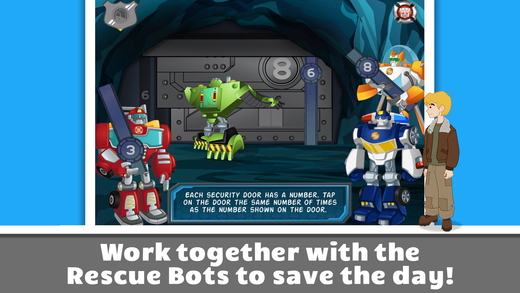 PlayDate Digital content is built in partnership with some of the world’s most trusted global brands for kids.